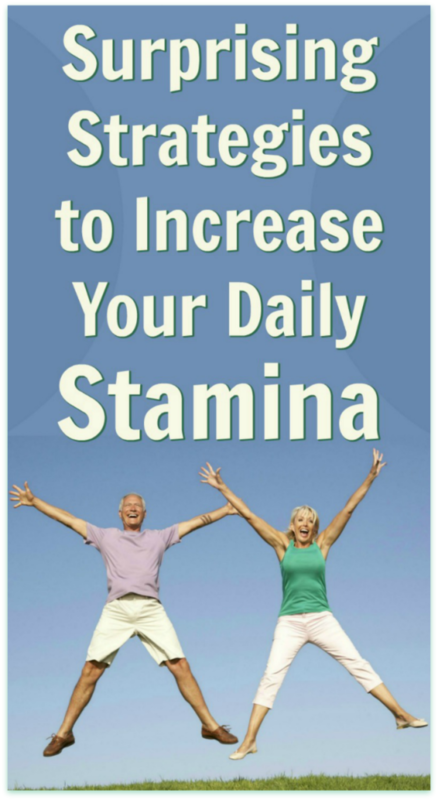 Stamina is the ability to sustain a high level of physical energy throughout the week. do you lunge joyfully out of bed most mornings feeling eager anticipation? are you able to make it through a typical day while maintaining your physical and emotional energy until bedtime? If the answer to the above questions is “no,” then you probably lack stamina. The secret to having stamina – a cohesively high energy-level – involves good self-care. Consider how much the world is changing, and how quickly. Just 30 years ago, taking good care of yourself consisted of popping a morning multi-vitamin and having your annual check-up at the doctor. But in today’s busier world, we need to use a different set of protocols in order to enjoy a robust physical and emotional stamina – and health that can be sustained. Many of us keep postponing improved self-care. Fortunately, there are things you can do right away to help yourself feel better now. 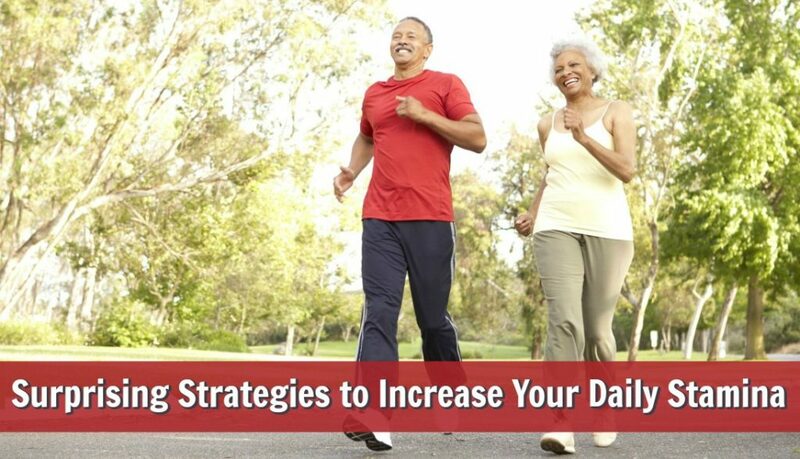 Below are eight essential strategies to improve your own physical energy and stamina. Our culture has become a bit narcissistic. Many people become easily bored and physically restless if the conversation goes more than 5-seconds without being about them. And because of it, you will constantly be pulled into other people’s agendas, orbiting their life, witnessing their experiences, addressing their wants and needs moment-to-moment. Which is fine, if you want to be a moon. But, what if you’re your own planet? 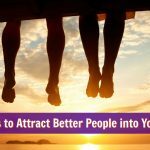 In order to stay out of the gravitational pull of well-meaning, self-absorbed people, you need to be able to say “no,” even if it makes you unpopular. If you can’t say no, then you can’t have stamina. When you honor yourself by setting boundaries, you are giving the world a gift, because it shows other people what is possible within themselves (even if they don’t appreciate it in the moment). There are so much information and distraction coming at you from all sides every day. Radio, billboards, bus bench ads, emails, instant text messaging, ringing cell phones, television, on and on and on. These low-value signals can drain your stamina. When it comes to information, entertainment, news, mail, etc., you must have a strategy for how you will consume it. You don’t want to get sucked into the black hole of constant information. Increase your awareness so that you can easily spot those sneaky little assassins that want to sap your mental clarity – diminishing your quality of life and daily stamina. But there is also a lot of physical matter coming at you, too. We live in a consumer culture, and that means “stuff” finds its way into your home – piling up, day after day. What would your life feel like, if you were living it free of clutter? It’s strange to think that much of the stuff we own ends up one day in a landfill. I aspire to minimalism, yet am astonished how much ‘stuff’ we have accumulated in our home. I am re-inspired to move toward simplicity! The word possession can mean either the state of possessing items or the state of being possessed. Think about that for a moment. In our modern culture, it often means both simultaneously, because the articles we own take up physical and psychic space. In other words, sometimes we don’t own stuff – our stuff owns us. Everything from a golf ball to a refrigerator requires time, energy, money, and maintenance. For a golf ball, you have to shop for it, pay for it, store it somewhere and then locate it later. Now multiply that exponentially and it becomes easy to see how the average ‘Westerner’ feels overwhelmed and drained. Perhaps we were not all meant to live as Zen monks. I know that I enjoy nice things as much as the next guy – gadgets, art, the latest running shoe – but I also enjoy the serenity that empty space provides. And I wonder, does every square inch have to be occupied? When you have excellent health, all other things are possible in your life. Below is a quick guide containing some of the most often-asked questions – FAQs – about how to become healthier immediately. The Longevity Lifestyle is not as much about adding years to your lifespan as it is adding high-quality life to whatever years you have remaining. The most effective way to think about your own improved wellness is: holistically. Having a holistic mindset means that you explore health solutions within the full circle of wellness – not just within a couple of narrow topics. Your stamina depends on it. In terms of physical workouts, you have a lot of choices. 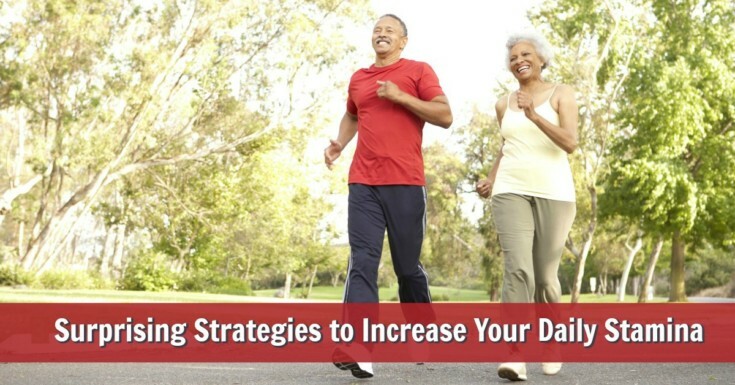 Depending on your age and physical condition, you may want to focus on lower impact workouts. Pilates is one fantastically effective option (it’s also a lot of fun). In mid-life and beyond, if we stop exercising we might lose significant strength and bone density. A nutrient-rich diet, coupled with strength training, is an excellent way to get fit, stay fit and build stamina. Keeping yourself active is a key part of disease prevention, including reducing the symptoms of certain types of arthritis – as well as prevention of back problems. You don’t have to be a professional triathlete, just go at your own pace and know your limitations, while at the same time challenging yourself a bit beyond what’s comfortable. Who in your life supports your improved health? Who roots for you, and encourages you when you decide to experiment with making changes to daily habits? Each person should have a wellness team – people in their lives both professional and personal who offer encouragement and insight on the quest for healing and self-improvement. Research studies have consistently demonstrated a strong connection between increased levels of social support and increased stamina – plus, reduced risk for physical disease, mental illness, and mortality. Do you have a wellness team? Would you like to find an accountability partner or workout buddy to help you stay motivated each week so that you can move briskly toward achieving your nutrition and fitness goals? In some ways, advancements in communication are making healthy relationships easier to maintain. Not only can you keep in touch with your most supportive friends – even when they live out of town – but you can also maintain easy contact with health-related consultants. More health practitioners and coaches are moving online to help their clients. Additionally, social sites now provide groups and communities of like-minded individuals who support each other in reaching their health goals. Freshly made green smoothies can be a valuable part of an anti-inflammatory diet to build stamina. But how do you get started? start out by picking up your dark, leafy greens: spinach, kale, arugula, swiss chard, etc. add your extra ingredients – such as fruit, seeds or nuts, plant protein powder, superfoods, spices, coconut, or unsweetened hemp milk (optional), and ice. Ratios will change as your taste buds evolve. At first, you might want less dark leafy greens and more sweet fruits. Over time, the reverse is likely to be true. What makes a green smoothie advanced-level, is that it has no sweeteners except for perhaps a very small amount of fruit. Cucumber, broccoli, spinach, kale, cilantro, and romaine with some spices such as cayenne or tumeric, and perhaps a bit of flax seed meal – all blended together with ice in a blender with powerful motor – is an example of an advanced-level smoothie. This is not a diet. Don’t force the changes, let your cravings dictate the ingredients (at least in the beginning). It’s good to mix up your recipes and experiment. This way, it doesn’t get stale. Plus, you’ll cover more of the nutrient spectrum. Bonus Tip: dark, leafy greens are extremely good for your health when lightly cooked or steamed. However, some people find these plants too potent when consumed raw every day. To ensure against potential toxicity, you can sometimes substitute parsley, celery, broccoli, and cucumber into your smoothies – in place of raw kale or spinach. Each body has its own unique chemistry, so listen carefully to your own body to determine which ingredients are best for your stamina. Ask your medical doctor before making any significant changes to your diet or lifestyle. The likelihood is that you can still get into much better shape than you are right now, no matter what your age. Is it more difficult to get back in shape post-50? But I’d argue that it’s actually a more important phase of your life to be fit. We can get away with poor habits a lot more in our teens and twenties (than we can after 50). Getting back in shape doesn’t have to be torturous. Mix up your exercises, just like you’d mix up your smoothie recipes. Keep yourself from plateauing – and from getting bored. I hate to say it, but the truth is a big part of healthy living after age 50 has to do with preparation and being organized. You need a time budget and a detailed plan – it’s just not going to happen on its own or if you wing it. 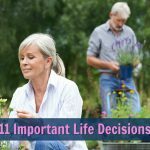 Living life to the fullest means figuring out what fulfills you and creating a plan that is unique to your goals and desires – then putting that plan into action. Above all, it means making your physical health and stamina your top priority. When you have your physical health, you have a foundation upon which you can live a passionate, joyful life. All things are possible when you are healthy. if your passion and your means of making a living can’t be one and the same, then make sure that you at least have a hobby that you absolutely love. release the past: instead of ruminating on old hurts, learn from past mistakes and move on. move into action now (avoid justifying an unfulfilling present with false hopes about the future). understand that anything that minimizes stress and offers peace-of-mind is invaluable. Adopt a mindset that your full-time job is to protect your physical energy. By doing this, you’ll actually want to get out of bed each morning. Do that too often, and it’s hard to bounce-back. Many Americans just wait until they get so run-down that they get a cold or flu, then they give themselves a few days off. It’s much more efficient just to monitor your physical energy closely and stop before you hit depletion. Of course, the best ways to cultivate more physical stamina, are still: quality sleep, exercise, and eat your vegetables (hey, some things never go out of style). Whenever possible, honor your own unique work style. I engage productivity principles, and that means I’m able to do in 6.5 hours what it takes many other people 10 hours or more to complete. It’s not because I’m so awesome, it’s just that I use systems that help me get more-things-done, faster. You may not yet have the freedom to arrange your day around your own unique style of working, but do what you can. Even little lifestyle adjustments can make a big difference to your stamina. There are a number of ways to approach the practice of meditation, many of which spring from spiritual traditions. 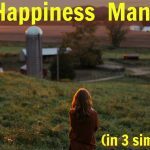 Three methods I provide below are a starting point – to acquaint you with the process of meditation and to give you a chance to explore how you respond to some different versions. Meditation is a way being that is different than your habitual patterns of thinking. It makes accessible the ability to experience the world within each moment. Oddly, even though meditation is relaxing, it still has the overall result of raising your energy levels and stamina throughout the day. Mediation is about becoming aware – not checking out. A practice is about loosening the stranglehold of your typical self-perception so that you can connect to your source. Sitting down to meditate is not a competitive event where you judge yourself against others. It’s not meant to provide you with another means of beating yourself up in response to perceived failings. It’s an occasion to cultivate an attitude of compassion, patience, and appreciation for yourself and your willingness to try something new. It is a place to remember – by forgetting all you know. Though no approach holds the promise of complete effortlessness, you may find some meditation practices resonate more or less deeply – or are simply more effective for you – than others. In the end, your results will be your guide. Although you can’t expect an overnight change, some shifting should be evident over time. With regular meditation practice, you may begin to notice small, rewarding, daily changes. the purpose of the cushion is to elevate your bottom higher than your legs (roughly three inches). This helps the flow of circulation and lessens the possibility of pinched nerves when sitting in a cross-legged position. if sitting with your legs crossed is too difficult then use a chair (with your feet on the floor or a cushion) – remembering to keep your knees below your hips (again to help with circulation). if you have small children who seem to gravitate to you instinctively when you are trying to carve out some time for yourself, explain (in their language) what you are doing and why you are doing it. Give them a time frame for how long it might take. When they know there is an end to your “absence,” they are likely to tolerate it better (it may also be a good idea to do the same with your partner)! as you settle in to meditate, take note of how you are sitting. For a number of reasons, many of us tend to slouch forward – trying to introduce our chin to our bellies. While meditating though, it is important to sit with your back straight. for those of us who have developed a habit of slumping forward a bit, we tend to overdo it when we hear that we need to straighten our posture and, in the process, make ourselves very uncomfortable. So, try to keep in mind that straight does not mean rigid. if you feel yourself tensing-up somewhere in particular, turn your attention to that part of your body, and situate yourself so that you are comfortable. if it is not painful for you, bend your neck slightly forward with your eyes gazing down at about a 45-degree angle. For some, the idea of meditating with your eyes open may seem like a strange concept but it helps you to maintain a deeper level of awareness during your practice (and becomes a stepping stone to the practice of mindfulness throughout your waking day). Your hands can gently rest (palms down) on your knees or you can place your right palm within your left touching your thumbs together – at about the level of your navel – and elbows slightly away from the body. Holding your hands this way can be helpful if you are feeling drowsy. The position requires you to maintain a certain level of alertness that makes it harder to doze off. Lastly, your tongue is placed on the roof of your mouth which is slightly open. When you begin to meditate remember to start slowly and work your way forward. Chuck Pettis, a meditation instructor at the Sakya Monastery, advises starting with one minute. If you can’t do a minute then do 30 seconds, but do it every day. You will find that the duration of your practice will lengthen organically as your stamina improves. Your practice will benefit from doing shorter sessions daily, rather than attempting to do longer sessions sporadically. The following are a few methods of meditation, taught by Pettis, that can help to inspire you to develop your own practice. The first method involves sitting in the meditation posture and simply following your own breath. Observe how your breath enters and leaves your body. Just follow it without placing judgment or value upon it. If your attention begins to wander simply return your focus to your breathing. Another version of this meditation is to count your breath (meaning one inhalation and one exhalation). How many breaths do you have in a span of 60 seconds? You can also try the technique of seeing how long it takes you to count your breaths up to twenty-one. It can also be interesting to note the change in your breath at different times of the day – noticing how your rhythm slows or quickens as the day starts, peaks, and then comes to a close. All of these approaches allow you to become aware of your breathing (the essence of life) and often, in the process of doing so, you will notice that it begins to slow and deepen. Another style of meditation involves focusing your attention on an object. Some people prefer that the object have spiritual significance, such as an image of a saint or deity, but others feel more comfortable using simple items such as a flower blossom or a candle. When you focus on the object, you want to avoid analyzing it or getting into a descriptive process. If this begins to happen simply let the thought go. If you are meditating on a spiritual object, the purpose is to eventually be able to visualize that object without it having it be physically present in front of you. Some people find that they enjoy using malas (prayer beads) in conjunction with a mantra – a grouping of syllables, sounds or words that help calm the mind. During meditation, mantras can allow your mind to have a focus so that it’s less inclined to wander. There are many mantras, all with different intentions or meanings. With a little research, you can find the one that resonates with you. If you follow a certain spiritual practice, a short prayer or holy word could be used in the same way. Counting the thoughts that arise during your 60-second meditation is another form of practice that you may find useful. The trick here is to not be hard on yourself. It’s not important if you only have one thought or if you have one hundred. If you’re aware of your thoughts, it becomes easier to let them go and to return to your breath. 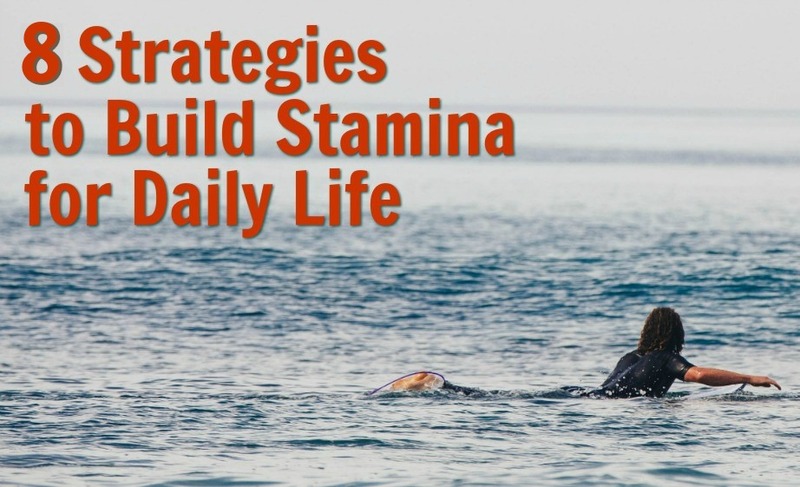 Build stamina to successfully meet the challenges of your daily life. Here's how. Without healthy boundaries, you will constantly be pulled into other people's agendas – orbiting their life, witnessing their experiences, addressing their wants and needs moment-to-moment. Stay out of the gravitational pull of well-meaning, self-absorbed people, by crafting a personal plan that allows you to increase your stamina. These eight methods will help you to thrive. See the full article for exact ways to implement each of these eight, highly effective techniques. Some people find that making an inward comment like “thinking” or “let go” can assist in detaching from the thought that is temporarily holding their attention. Another version of this method is to label each thought (i.e. “clock ticking,” “bird,” or “car horn”). This helps to prevent the thought from continuing in greater detail. Others find it useful to get into the practice of dropping the thought on the out-breath. If you notice the same thought arising again or a different one sprouting up in its place, you simply release it when you exhale. The three simple meditation methods presented here are in no way meant to be in-depth or exhaustive, but hopefully, they can help you get started in a practice (or even help you return to a practice from which you’ve been absent for a long while). It’s important to find what works best for you so that you can increase your stamina permanently. There is no right or wrong way, and what helps to further someone else’s practice may not be effective for you. Remember that the practice itself will take time, determination, and commitment if you hope to achieve true transformation. Be assured that, with persistence, this method can bring about life-changing shifts. ￼I had a friend who did a good job of putting her practice into terms her daughter could understand. The daughter, who was not particularly fond of her mom’s outbursts, was more than happy to get on board with her efforts to change. Does living luxuriously necessarily mean having lots of possessions? Can a person live well and feel prosperous with fewer things? I’m all for prosperity, and if someone wants a house filled to the brim, I support that. But let’s be conscious about it. Choose that lifestyle, instead of just ending-up there unconsciously and tired. You likely know someone who would find this article helpful or inspiring. I encourage you to share it. You deserve more physical and emotional energy. You deserve stamina! A final bonus to having more stamina is that it increases the difference you can make in the world and, particularly, the positive impact you can have in the lives of those you care about.